Ian’s father was a sheep and wheat farmer and his mother a school teacher. Early education was in Birchip, Victoria and Telopea Park High School, Canberra, ACT. His later secondary education (years 11 and 12) was at St. Patrick’s College, Ballarat (1940-41). Ian was dux of year 11. Ian graduated from the University of Melbourne with a B.Sc. (1945) (physics, chemistry, maths (1st class Hons in the two final chemistry subjects) and an M.Sc. (1948). He was offered a CSIRO scholarship to work in Cambridge but refused, as he did not want to pursue an academic career. He chose instead to focus his research to help the livestock industry both in Australia and surrounding areas. Ian spent 1949-50 with the Department of Agriculture, Stock and Fisheries of Papua-New Guinea. He worked on Agriculture Experiment Stations, doing field work at a low-land station, Kerevat (near Rabaul and a highland-station at Aiyura. In 1951 Ian joined the CSIRO Wool Textile Research Research Laboratory, Biochemistry Unit under the Officer-in-Charge, Dr F G Lennox and remained there until his retirement from Officer-in-Charge in 1989. Ian initially worked with E F Woods on the biophysical characterisation of solubilised wool keratin proteins. In 1956-57 he extended his knowledge of the relevant techniques at the Chemistry Department, University of Wisconsin with J W Williams, L G Gosting and R L Baldwin. From 1958-69 Ian worked with E O P Thompson on the biochemical characterisation of wool proteins. This work, together with other research, obtained for him a D.Sc. University of Melbourne, 1975, Thesis title: Chemical and physico-chemical studies on soluble proteins from keratins. In 1969 Ian wished to introduce his type of research in the Division of Protein Chemistry into the field of immunoparasitology in order to help the Australian livestock industry. Ian suggested programs, which came to play a major part in the research of this Division. These suggested programs were approved by the Chief of Division, Dr F G Lennox and by the Chief of the Division of Animal Health, Dr E L French and a joint collaboration between the two Divisions commenced. Dr K J Fahey of the Division of Animal Health, on Infectious Bursal Disease Virus, a disease in chickens. Dr D J Stewart, of the Division of Animal Health, on Bacteroides nodosus, the causative agent of footrot in sheep. Dr J K Dineen, of the Division of Animal Health, on Trichosterongylus colubriformis, a helminth disease in cattle. Ian also worked with Dr P S Hopkins of the Queensland Department of Primary Industries on Lucilia cuprina, the causative agent of blowfly strike in sheep. Ian personally opened up each of these fields with his research and eventually handed the first two of these over to many other scientists in the Division of Protein Chemistry. The first of these initiatives, together with many subsequent researchers, eventually led to a successful commercial vaccine and this received the CSIRO Chairman’s Medal in 1997. The second program led to a vaccine but not commercially satisfactory. The work with Dr Dineeen (T.colubriformis) with J K Dineen and other workers is probably still continuing. In 1988 Ian served as Officer-in-Charge of the Parkville site following the break-up of the original Division. 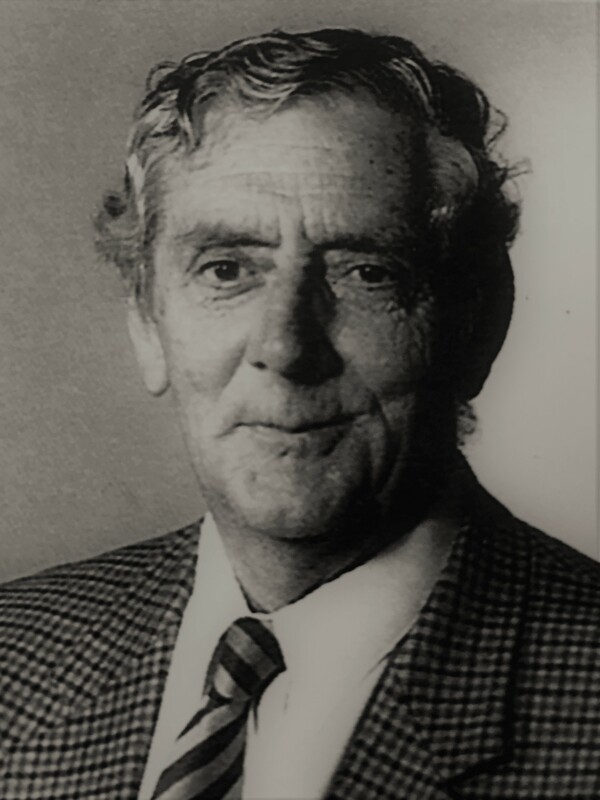 In January 1989 Ian O’Donnell retired after 38 years of distinguished service to the Parkville laboratory and Colin Ward was appointed to replace him as Officer-in-Charge. In a farewell address to Ian, Colin Ward referred to Ian’s remarkable career for which he was awarded a D.Sc. from The University of Melbourne. This research of Ian’s embraced all the areas of protein chemistry studied in the laboratory over the past 40 years. Ian contributed greatly to investigations concerned with wool and feature keratins, with antibodies, with allergens and immunogens, footrot proteases, pili and other antigens, and with the early stages of plant virus research and infectious bursal disease virus. He also served as officer-in-Charge of the Parkville site during the very stressful year 1988 during the break-up of the original Division. In 1968-69 Ian worked on the structure of immunoglobulin G with Professor R R Porter at the University of Oxford, Biochemistry Department. Professor Porter asked Ian to establish the arrangement of disulfide bonds in the immunoglobulin G molecule. Ian did this and Porter suggested Ian publish as the sole author. Ian preferred to have a joint publication. Porter was awarded a Nobel Prize in Medicine in 1972 for this work and Ian’s work was specifically referenced (Reference 17 in Porter’s 1972 Nobel Lecture). To get further education in the “second culture” Ian studied for a Bachelor of Arts degree in History and English at the University of Melbourne. In 1995 he graduated BA (Melb). Fahey, KJ, O’Donnell, IJ and Azad, AA. International Patent Application No.PCT/AV84/00256 “Identification and characterisation of the protective immunogen of IBDV”. Ian O’Donnell has published approximately 200 refereed articles in international scientific journals.